If you are looking for a quiet holiday, away from traffic and confusion of the bigger centers, but still want the comforts and advantages of a city, you can choose Tscherms. 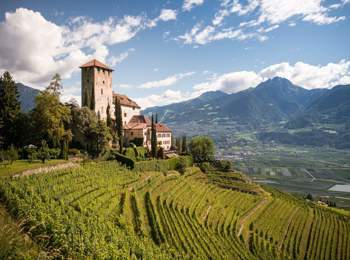 This charming village is surrounded by vineyards and orchards, but is only 5 km far from the lively and cheerful town of Meran. A symbol of Tscherms, is its castle, Lebenberg Castle, of the 13th century. The Castle dominates the town from above, it has been renovated several times, and you can visit it. Inside: a beautiful French garden, a chapel, courtyards, the armoury room and the hall of mirrors in rococo style. 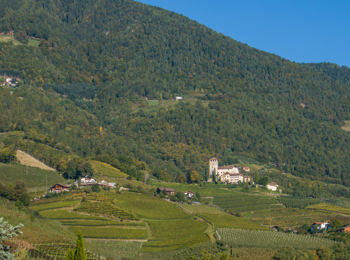 Meran is famous for its trails of water, called “Waalwege” that run, along the old irrigation channels. 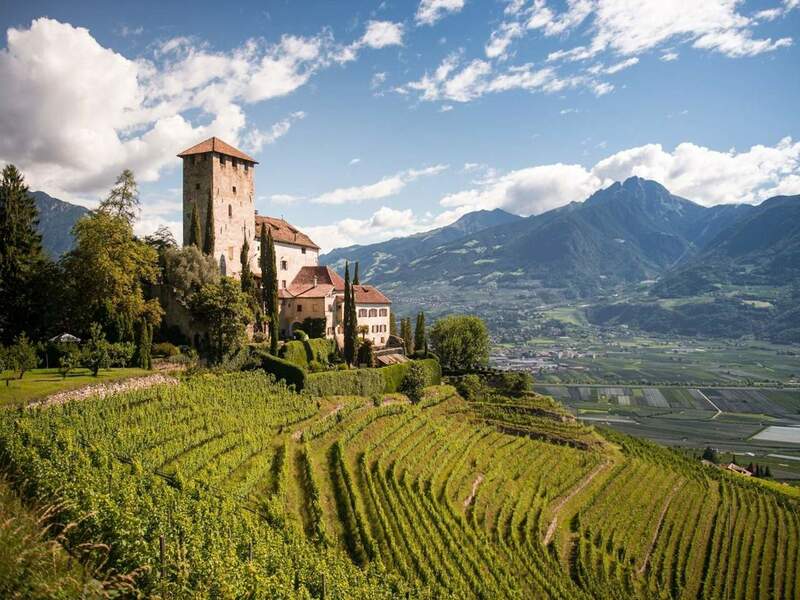 From Tscherms you can leave for many hikes tours that promise to make you aware the nicest and most characteristic area of Meran and its environs. If you are looking for a simple holiday in contact with nature, here you can find structures in which to stay, where to live fully the rhythms, tastes and sounds of nature.